Tunnel metal detectors (with rectangular divisable or closed aperture) are for the inspection of poured, or bulk material, on conveyers, chutes, or vibratory feeders. 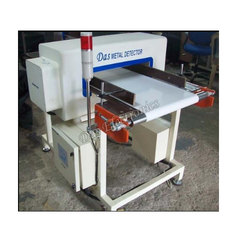 DLS tunnel metal detectors are separable and are designed for installation in conveyor belts and material slides. 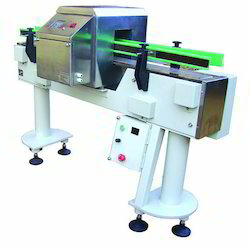 Metal detector for integration in conveyor belt system.